Professional Plumbing Services | Brooks Plumbing Co. Plumbing issues can often be hard to detect without professional equipment and experience. In fact, they almost always are. 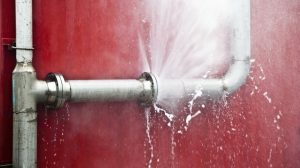 Most of your Rainier, WA plumbing system is hidden from view, after all, and the problems that usually impact it are subtle to start with—pinhole leaks being one of those problems. It may be a bit of an eye opener to state, but the holidays are just around the corner. This means it’s the perfect time to prep your home for the occasion—start planning parties, do some winterization tasks around the home, and maintain your plumbing system! 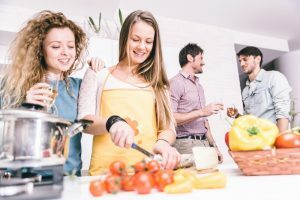 Yes, that’s right, when you have increased guests in your home, you want to think about your plumbing system, since it’s going to be getting a lot more use this time of the year. In fact, one of the most common Olympia, WA emergency plumbing calls that professionals get is about clogged drains during this time of the year. Maintenance is the best way to prevent the biggest of plumbing emergencies, but there are also precautions you should take at home to help avoid certain issues. While it may not get as bitterly cold in our area as it does in other parts of the country, frozen pipes are still unfortunately a fairly common occurrence during the winter. And, they can cause a fair amount of damage if they are not dealt with. 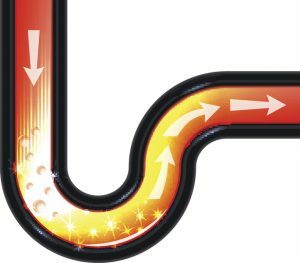 The reason for this is because as water in the pipes freezes, it expands and places pressure on the linings of the pipes. As a result, you could find yourself with cracked or burst plumbing. To protect your pipes from freezing in the first place, there are a few steps you can take. Keep reading to learn more, and if you discover any problems with your plumbing this fall or winter, contact a professional plumber in Tumwater, WA, such as one of the members of our team. Have you ever had a plumbing problem that just couldn’t wait? The fact of the matter is, when emergencies like this happen, it’s never at a convenient time. 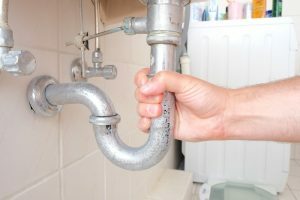 As much as we would like, leaks, clogs and other disruptive issues just don’t always make themselves known during “normal business hours!” Because your plumbing system is so vital to the functionality of your home, you may find yourself in need of Olympia, WA emergency plumbing services. But what constitutes as an emergency? Should you call for any given plumbing problem? 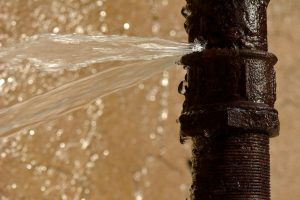 Obviously, a burst pipe with no access to a shut-off valve is cause for an immediate call, but is a dripping faucet worth it? It will depend largely on your specific situation whether or not emergency services are needed, but we’ve offered some guidelines below on the most common emergency calls we receive. There are many articles and pieces of advice out there on how to efficiently use the appliances in your home in order to save money. For instance, you can set your AC thermostat to 78° rather than any lower than that to save on your cooling costs. Or you can use energy-saving lightbulbs to cut back on your electric bills. But what about water waste? 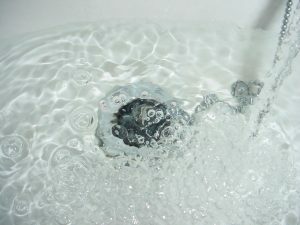 You can, of course, call in a professional plumber in DuPont, WA when you have a big emergency, but there are also subtle ways in which you may be wasting water in your home and unintentionally raising your bills. Keep reading for some tips on preventing water waste and thus saving money. While your sewer line isn’t something you likely give a whole lot of thought to, it probably is one of the most important components—if not the most important aspect—of your plumbing system. This is the main line that removes wastewater from the plumbing in your home and moves it to the civic sewer system. 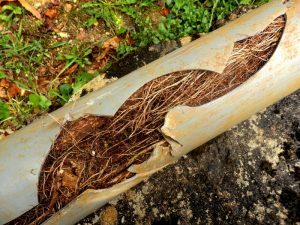 Since sewer lines are most commonly buried under the ground in your yard, they are typically safe from damage and wear from the weather. However, a lot can go on underground, and when trouble does arise, you’ll need professional Lacey, WA drain and sewer services from a team you can trust, such as ours. A reliable company will have plenty of techniques and methods to repair leaks, clogs, and other issues with your sewer line in an effective and efficient manner. Why Should You Choose a Professional Plumber? Couldn’t a general handyman, whose services you’d pay less for, do just an effective job? We know this seems like a simple solution to your plumbing problems, but your experience simply won’t be the same. Our professional plumbers have been in the industry for a long time, so we’ve seen what can happen when homeowners believe in this common misconception. Plumbing is a tough job, and even something that appears simple—like unclogging a drain—can require plumbing expertise. 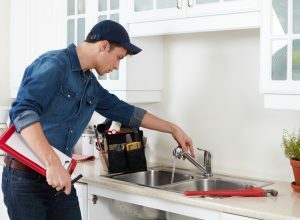 We’re here to tell you how important it is to hire a licensed and insured—and experienced!—plumber when you need this type of work in your home. Although hiring a handyman may make it seem like you’re saving some money initially, in the end hiring the wrong team for the work can cost you a lot more. Posted in Plumbing | Comments Off on Why Should You Choose a Professional Plumber? When you consider the most common problems faced by homeowners, plumbing leaks definitely rank near the top. Pipes are designed to be long-lasting. However, nothing lasts forever, and age and pressure eventually take their toll—so you never know when a leak might spring up. Our professional plumbing services in Lacey, WA are all you need to get the problem corrected in most cases, and you should always let someone with appropriate licensing and experience handle your plumbing issues. However, a professional plumber can’t fix the problem unless you know there’s a problem to be dealt with in the first place.